Smartphones have hooked us to texting; taking the T9 experience even further. But of late, texting has turned into a mess; the app stores are filled with tons of messaging apps that rely on the internet. In most cases, people use more than one app for chatting like WhatsApp, Facebook Messenger and many weird combinations. iPhone users enjoy the bloat-free experience of iMessages and that’s one of the reasons that stops an iPhone user from moving to Android. Google has been at work since 2011, trying to create a messaging service like Apple’s but it failed miserably every single time. In 2011, Google launched Huddle (a part of Google Plus) for texting which of course, didn’t work and in 2013, the company tried to refresh the whole game by creating Hangouts which was popular in the beginning but then it watered down eventually. Google didn’t give up, in 2016, the company launched Allo, a messaging app which had no connection to Google Plus. 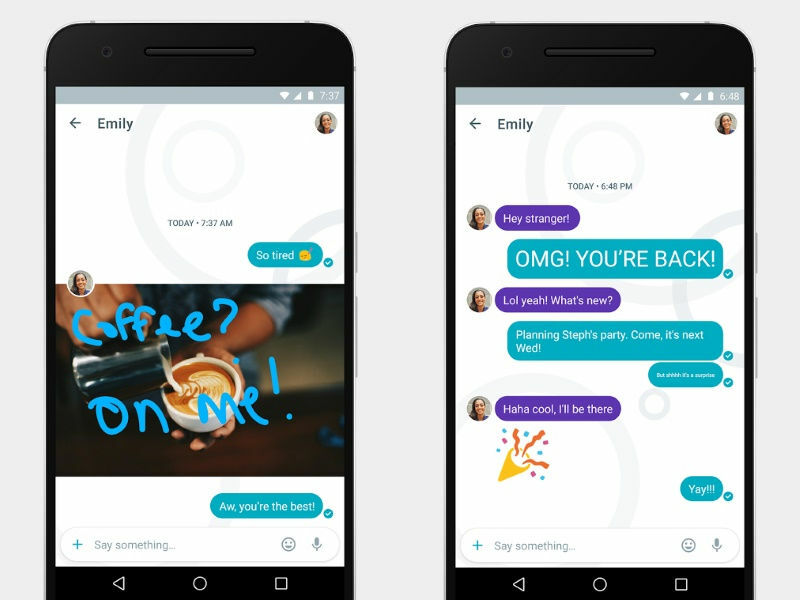 Allo was definitely fresh at the time, it had great features like AI-based text suggestions, Google Assistant built into it but the app was generally slow and to me, the features that were supposed to stand out, started seeming like bloat. Also, the platform never took off, meaning not many people were on it and whoever was on it, left it as there was no one to chat with. So, to fix this “messaging” problem, Google has taken up a project again and this time it’s actually trying to do, what iMessages does, focus on texting and not on glossy features. 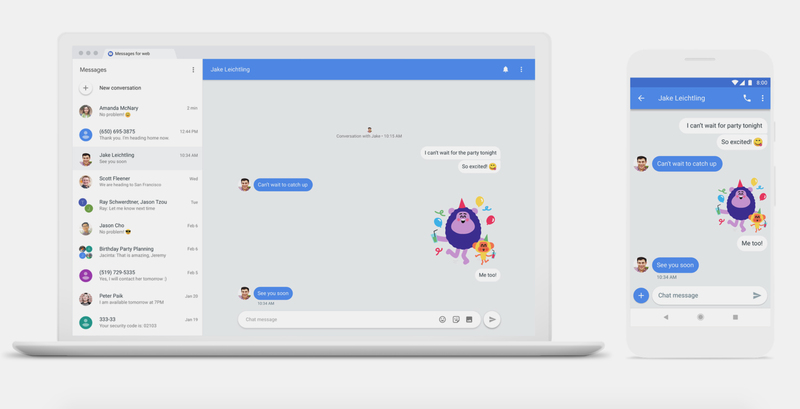 In few months, Google will update its Android Messages app to enable features that work on the RCS (Rich Communication Services) technology and will rename the app to Chat. 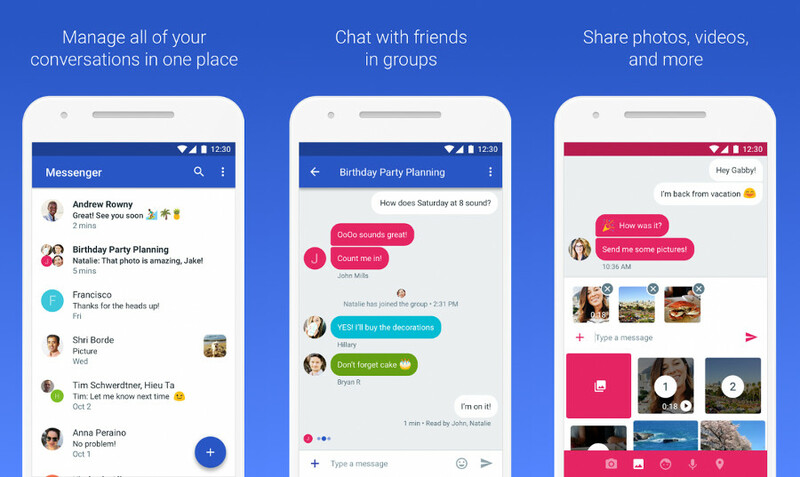 RCS is not new, in fact, even the current Android Messages app supports it but with Chat features like read receipts, high quality photo sharing, location sharing, and a lot more will be added. Not everything is known about Chat, as The Verge was the only publication to get an exclusive story on it and Google didn’t exactly reveal everything yet. So, how does RCS work? It’s simple, a message sent using Chat (RCS) goes as a request to the network provider and then that message will be forwarded to a hub to check if the recipient’s network provider supports RCS, and if they do, then the message will be delivered. If the network provider doesn’t support RCS, then the message will delivered as a standard SMS and of course, for standard SMS charges. At the moment, 50 network providers all over the globe support RCS and if Google’s plan works out well, every network provider will eventually have to support this new technology. Some of them are AT&T, Verizon, Jio, and Airtel (the complete list is at the end of the article*). There’s a caveat though, along with network providers even phone manufacturers will be required to support RCS for Chat to work. At the moment, eleven OEMs support this technology and they are – Alcatel, Asus, Huawei, General Mobile, Samsung Electronics, LG Electronics, HTC, Intex Technologies, Lava International, Motorola, and ZTE. Chat sounds like a really good service, of course it does but it doesn’t sound great as its not doing what iMessages does (well, iMessages is the holy grail of texting). iMessages is tied to Apple ID and when someone sends a text, Apple checks whether that number is registered on an iPhone using iMessage and if it’s an yes, then it will delivered as an iMessage and if it’s a no, then it will delivered as a standard SMS at standard SMS charges. Google’s Chat relies on network providers to work out the RCS magic, as already explained. Meaning, it will take some time before every network provider gets on board with RCS to provide a consistent experience. Also, unlike iMessages, where the messages are encrypted, Chat’s messages will not be encrypted and they will be stored in network provider’s server (this comes when privacy is being discussed at large). So, can Chat solve the texting inconsistency Android users have been facing since the beginning? It may or it may not. One thing is clear though, Chat will be incredibly popular at-least at the beginning for its simplicity, especially in countries where most of the network providers support RCS. However, another caveat is that Apple doesn’t support RCS, meaning Android users’ friends who use an iPhone will have to rely on standard SMS or on apps like WhatsApp, Signal, Facebook Messenger, etc. If Chat (RCS in general also) works out, these could be the last few days left for SMS to breathe… Will WhatsApp, Facebook Messenger lose their cool? Of course not, at least until every smartphone manufacturer and every network provider gets on board with RCS. But what it will do is, give Android users a bloat free and probably a unified (common) texting experience. WhatsApp and other messaging apps started off well but as they grew, these apps have added tons of features which in my opinion spoil the simplicity of texting. Take WhatsApp for example, its got the Snapchat’s story features as “Status”, Calling, Online/Offline indicator, Last seen indicator, Profile picture, About and the list goes on. Some of them are useful but not all and the bad thing is they can’t be turned off which is a pain (except few). 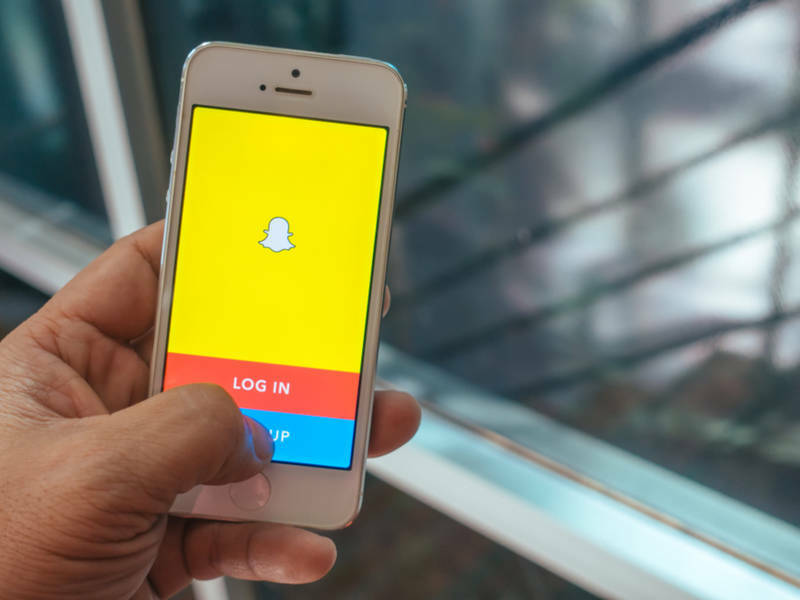 The mistake can’t be pointed at one company but Facebook is the biggest of all the messaging service(s) which has taken up the motto ‘Copy Snapchat’ and has began adding the ability to share photos or video snippets which can be viewed by friends for the duration of 24 hours to all its services. Of all the apps, WhatsApp is the biggest one to be affected. Some people probably do like it, well, some don’t; WhatsApp could have at least added a toggle-off switch. 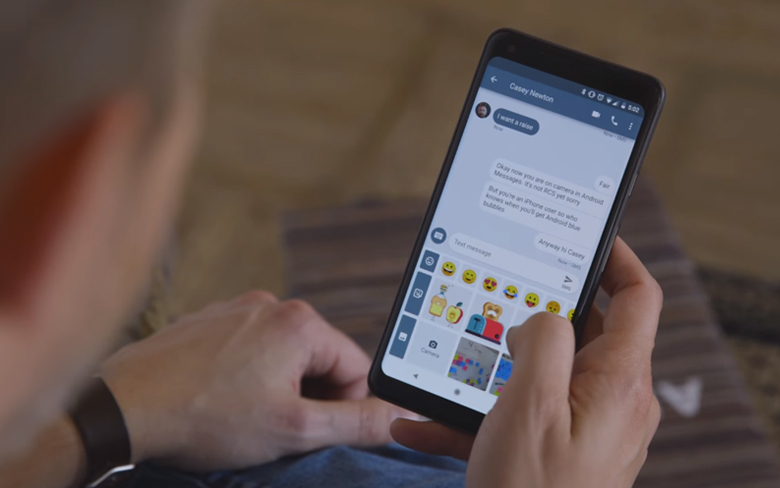 Till Google rolls out Chat which is expected to take 6 to 12 months (nothing concrete yet on the release date), we’ll have to stick to bloated texting apps. Hey Facebook, why don’t you create a bloat free WhatsApp like Messenger Lite? WhatsApp Lite sounds like a great idea! 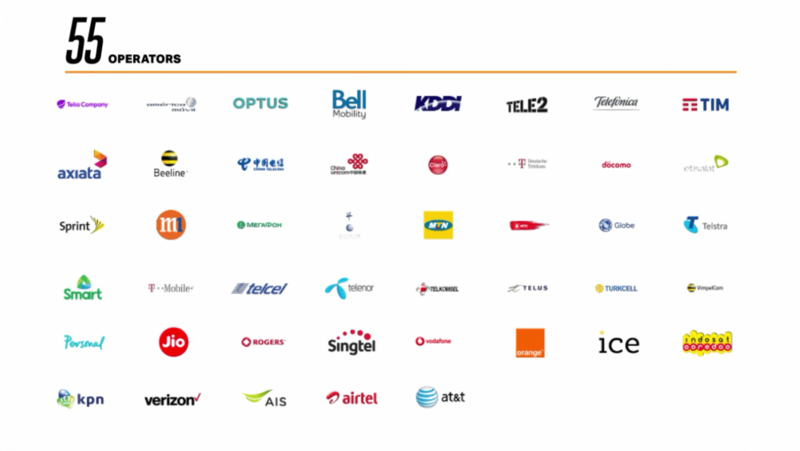 *The network providers that support RCS are Advanced Info Service, América Móvil, AT&T Mobility, Axiata, Beeline (brand), Bell Mobility, Bharti Airtel, China Mobile, China Telecom, China Unicom, Claro Americas#Brazil, Claro Colombia, Deutsche Telekom, Etisalat, Globe Telecom, Indosat Ooredoo, KPN, M1 Limited, MegaFon, Millicom, MTN Group, MTS (network provider), Optus, Orange S.A., Telecom Argentina, Telecom Argentina#Personal, Play (telecommunications), Jio, Rogers Communications, Singtel, Smart Communications, Sprint Corporation, StarHub, Telcel, Tele2, Telefónica, Telenor, Telia Company, Telkomsel, Telstra, Telus, TIM (brand), T-Mobile US, Turkcell, Verizon Communications, VEON, and Vodafone.